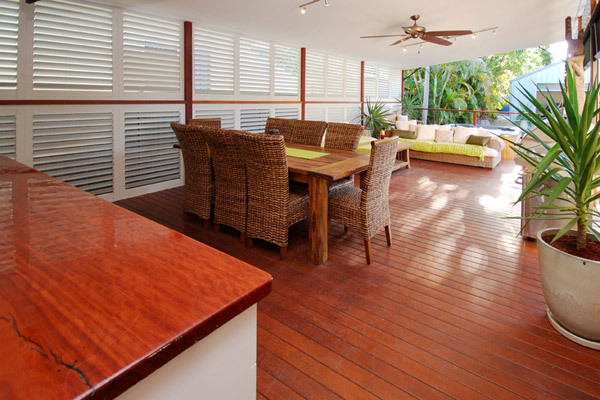 Exterior Solar Shades offer relief from intense heat and glare. They are durable, mildew resistant and easy to clean. They can be hung on any outdoor area to offer protection from the elements while creating soft lines to your natural landscape. Solar Shades can often be found on exterior windows to block the sun’s rays before reaching the window glass, reducing cooling costs. 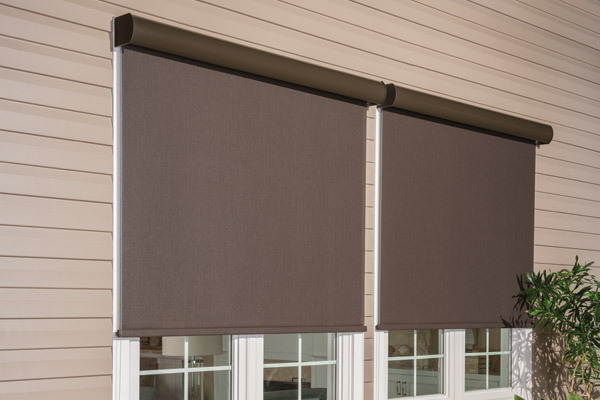 Motorization is a perfect blend for exterior shades that are hard to reach. These translucent shades are a perfect pairing for your outdoor spaces.